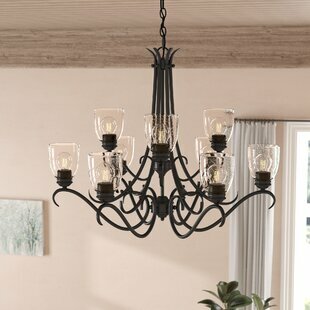 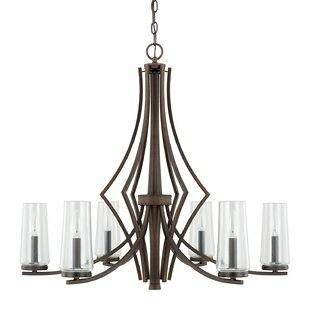 A traditional candle-style silhouette gets a splash of contemporary style with this shaded chandelier. 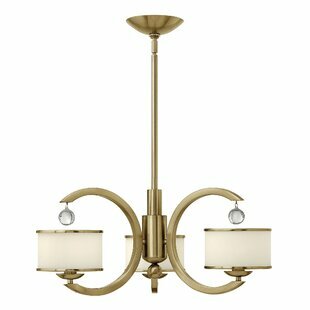 Crafted from metal in a brushed nickel finish, this fixture features five arching arms and a turned center beam with a clear accent. 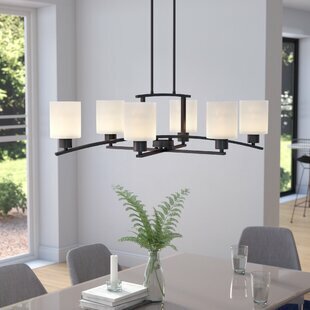 Cylindrical fabric shades diffuse light from compatible 60 W medium-base incandescent bulbs (not included) and complete the look, showcasing a neutral white hue with brown trim for crisp contrast. 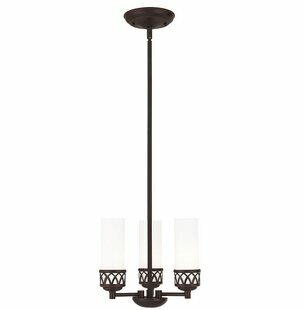 Assembly and installation are required. 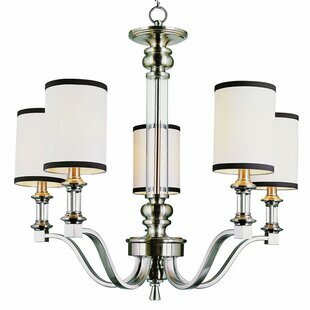 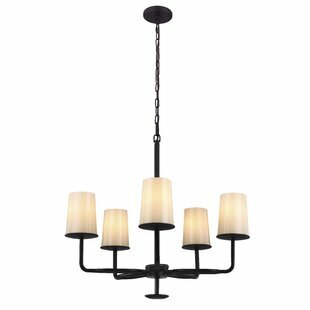 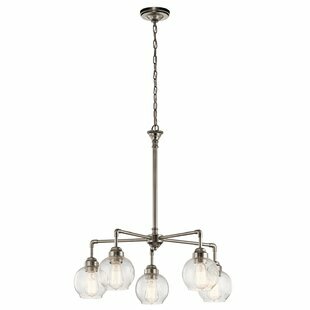 Number of Lights: 5 Fixture Design: Shaded Chandelier Adjustable Hanging Length: Yes Fixture: 25 H x 25.5 W x 25 D Overall Weight: 25lb.